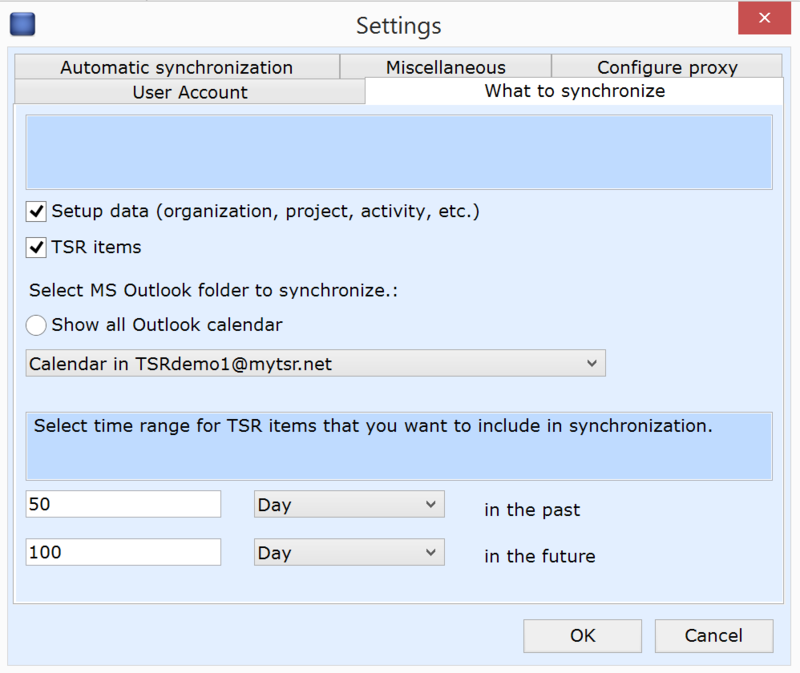 Please go to Outlook Add-Ins > TSR > Settings, and click on the ‘What to synchronize’ tab. Check that the synchronization interval that you’ve selected here includes the days where your time entries are not synchronizing. Wait for the next automatic synchronization or run it manually (to see how to run it manually, click here…).